Oops…I fell down the ‘introverting’ rabbit hole and forgot to leave a ‘be back soon’ note…! Have you ever felt the need to close the door on ‘everything’ and spend some time alone, quietly recharging your own battery? If you have, then there is a good chance that you, like me, might find yourself somewhere on the introvert spectrum. Introversion has absolutely nothing to do with shyness and everything to do with energy! Introverts gain energy from internal reflection and solitude, whereas social interaction can be draining. March is such a crazy month for me, and this past month has had its fair share of additional social engagements and unexpected hiccups. The perpetual busyness of daily life has meant my mind was in a constant state of stimulation, and trying to process all the many varied sources of information was becoming overwhelming. Luckily, the older I get the easier it is to sense this feeling on the horizon, and the solution is relatively simple – it’s a case of tuning in to my own inner world in order to think clearly and get stuff done. Solitude for some people is terrifying, and others might consider it an indulgence, but for an introvert, it’s a necessity in order to function at his or her best. Quiet time to reflect, plan and process puts everything into perspective and the world seems like a much more manageable place to be. I imagine the idea of quiet time is different for different people, but for me it usually means spending time on my own during the day and not engaging in conversation on any social media platform. It’s not about being anti-social, but rather a moment to sit back and give my mind a chance to rest. As a creative introvert, I admit to being easily distracted by all the things I see and hear. I find inspiration everywhere, and while you might think that is a good thing for someone endeavouring to lead a creative life, it can become the source of great internal conflict. Personal inspiration can only be accessible when the noisy ‘brain candy’ of the world doesn’t take precedence over my own deep inner thoughts. Sometimes I find it difficult to hear my own thoughts until I consciously clear the cobwebs away from all the pretty things I have seen and heard during the week, and for me that can only be achieved by tuning out external influence and inspiration. I recently had the unfortunate experience of spending time in the Emergency Department with my husband after he had an accident. After only a short time I felt as though every one of my senses was being assaulted and my energy levels sucked dry. I found myself trying to process everything from the different uniforms and clothing people were wearing, to the sounds of the many conversations being had, and even the maze of corridors within the hospital geography. I found it impossible to focus on any one thing in particular because my senses were overloaded and there was no ability to retreat to a quiet space. In much the same way, it can feel as though creative chaos is reigning without a chance to quieten the mind and focus on what’s important. Today’s world moves at the speed of the Internet, which means if you’re not careful you might find yourself so plugged in to cyberspace that you become disconnected with your own self. One of the great things about ‘introverting’ is that it is effectively a giant ‘Do Not Disturb’ sign that gives you permission to focus on your own needs. I find that while concentrating on one thing at a time without the usual distractions, it is easy to find myself in a state of psychological flow where I can dig deep, and my productivity soars. 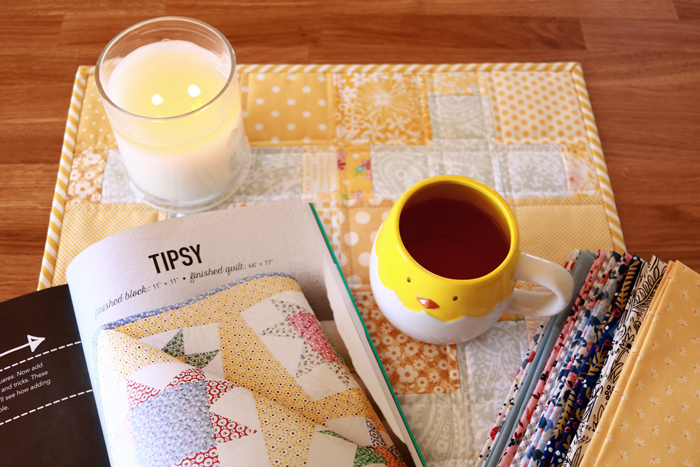 While I was in my introverting zone I was able to design and piece three new quilt patterns, re-organise my workspace, make some progress on a number of older projects and even start something new ‘just because’. My introversion dictates how I relate to the world; how I capture and expend my energy! And energy and creativity are so closely linked that it’s imperative to have an understanding of how to work within the boundaries of your own individual natural energy patterns. It has taken me a long time to realise that introversion is an essential part of who I am, and that (despite what those unfamiliar with the inner nuances of introversion may think) there is absolutely nothing wrong with me – sure, I am never going to be the life of the party, or be fuelled by the spotlight, and some people will inevitably believe I am a snob (which couldn’t be further from the truth)! But, despite some of these cultural hurdles that at times need to be tentatively jumped over as an introvert, being an introvert can be a strength when it comes to creativity! Have you ever wondered what your own personality type might be? There is a quick quiz you can take over at 16 Personalities that is remarkably insightful and surprisingly accurate. I have taken this and similar Myers Briggs tests and I am consistently categorized as an INFJ personality (along with only 1% of the population) – and while it might not seem ideal to put a label on a person’s character, you can learn a lot about yourself and your creative habits (whether you are introverted or extroverted), by having a greater understanding of what your own personality strengths and weaknesses are. What do you do to recharge and connect with your creativity? Lol, Lisa! You are the best!! It is funny how little I think we understand about concentration and distraction from a personality point of view. When I learn these things I always have a ‘oh, that’s why’ moment when everything just makes more sense. You are so sweet Angela – he is doing better every day! I really love your insights & am constantly impressed with how well you know yourself. That is inspiring in itself! That was the most accurate personality test Inhave ever taken – thank you for sharing it. I was identified as a Defender. What a great personality trait to have Jeanne! Thank you for your comment – it has taken me many years to be comfortable with my own ‘uniqueness’, but better understanding what it truly means to be introverted has made such a big difference. Hello there. 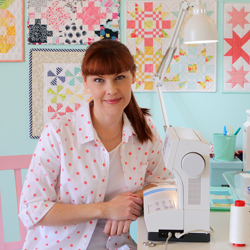 I came across you blog from the 2017 New Quilt Bloggers list. Only recently have I realized that I am a creative introvert as well. And I too, over did it in March. I made too many commitments and had too many deadlines. I didn’t take that time to recharge and be alone. But, I think my mojo is back as of today and I can’t wait to start creating again. Thanks for stopping by Jen – I am so glad my post resonated with you! It makes such a difference when we learn to stop and work with our own energy levels and needs. It’s good to hear you recognised your need for some recharging time, but even better that you now have your mojo back ;). What an insightful post! I’ve done Myers-Briggs before, and those results were consistent with the 16 personalities results. It’s kind of embarrassingly accurate. I’ve learned a lot in the past year about strategies for being an introvert in a social world, and it’s always a relief to hear from others who struggle with finding the right balance. I took the test. Results? Interestingly enough, Mediator INFP-A, which I never would have dreamed. Conflict avoidance, yes! Mediator? Who knew!! Hi I saw a link to your blog on Facebook and have enjoyed visiting with you while I had my coffee this morning. 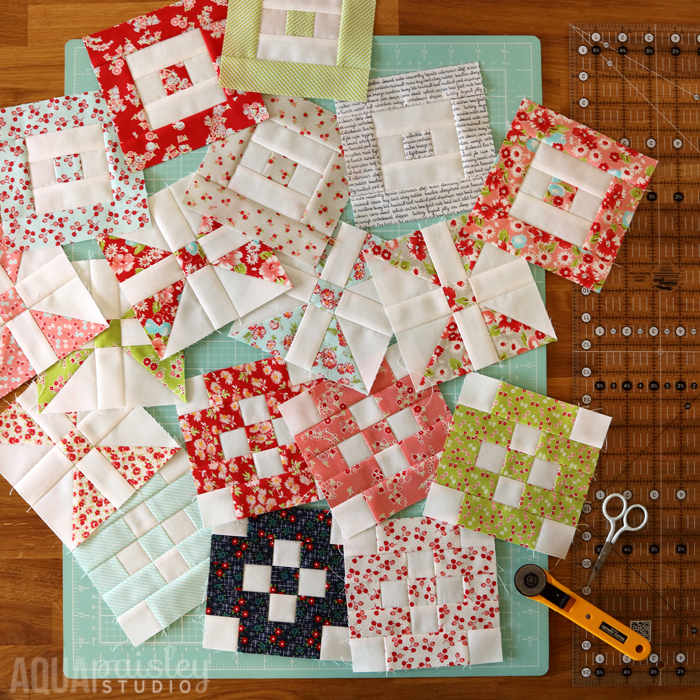 I love the layout of your blog and all the beautiful quilts you have made. I too am an introvert and can relate to this post. I too am I in the INFJ club and recognize the need for quiet time alone. I have a signal for my family to let them know when I am overstimulated: I raise my right arm up like I have a question. They know to give me some space and it is not personal. Sometimes they will even see me with my earplugs on, as our house is acustically loud in nature. It is important to find and accept our pace and what is just right for us. And, to know some days are not ‘Walmart’ days ;-). Thanks for sharing. I do hope your husband is doing well. I had the same experience with my husband last year. I found the hospital chapel for some quiet sanctuary. Usually there is no one there. I could not possibly relate to this more Samantha. I too am INFJ, and hospitals nearly do me in! How I love to come home and retreat to my room. You are farther along in understanding all of this than I am, I still suffer from guilt and confusion sometimes regarding not wanting to be with people all the time. I feel as if I am going to spin out of control if I have to be around people all day long without a few moments of solitude interspersed. It can be very tricky! Thank you so much for sharing your perspective on this.